It's wild in the streets with the HUF x Spitfire Skyline Short Sleeve T-Shirt. 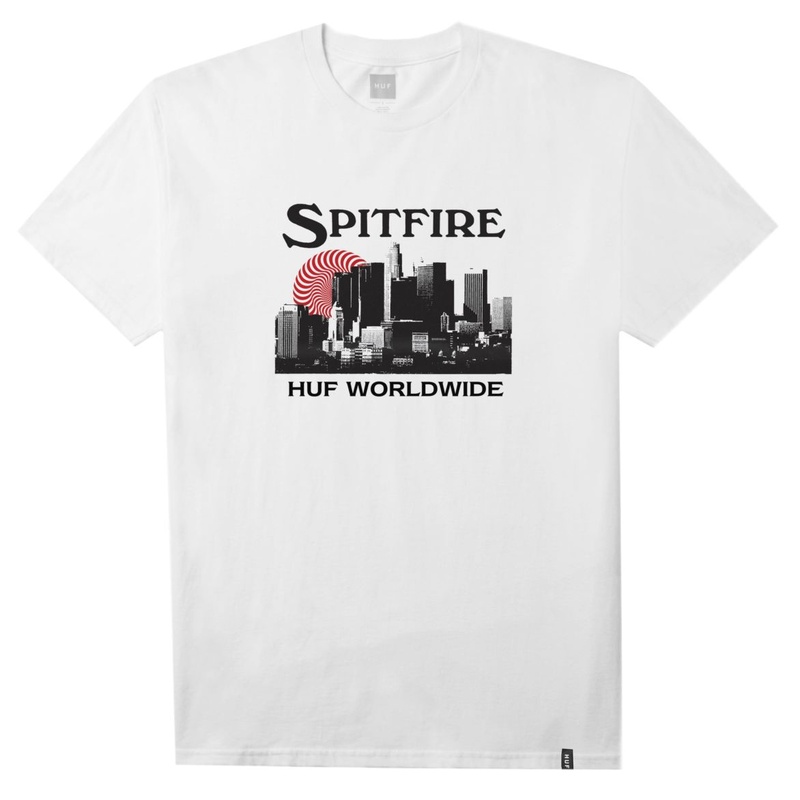 Catch the Spitfire "Swirl" set over the HUF Worldwide cityscape on this 100% cotton, screen-printed graphic T-Shirt, featuring a HUF woven label at hem. HUFSET Wait What? !